Posted at: 6/23/2014 09:12:00 AM . From now until June 30, 2014, sign up for AMC Stubs text message alerts for a bonus $5 loaded into your rewards. Bonus Bucks promotion is a limited-time offer. Limit of one $5 AMC Stubs Bonus Bucks reward per member during the promotion time period. AMC Stubs members who are already opted in to receive AMC Stubs SMS are not eligible for this offer. 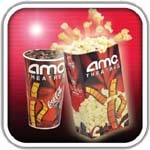 AMC Stubs Membership must be active during promotion to receive Bonus Bucks. Offer valid through June 30th, 2014. AMC Stubs Bonus Bucks will be available for redemption within 48 hours of opt in, and will expire at the end of the promotion, at 12:01am on July 1st, 2014. AMC associates are not eligible for this offer. If you aren't currently a member of AMC Stubs, membership is $12 for a year. The $12 fee seems high but it gives you free upgrades at the concession stand and a $10 reward for every $100 you spend. Additionally, AMC is always running specials for their members including free screenings. The free movies are normally worth more than the $12 fee. If you join AMC Stubs and then sign up for text messages, the instant reward will bring membership down to only $7 for the year. There's a rumor that membership has been reduced to $8 until August 31, 2014, but I can't find that on AMC's website. If true, your actual cost would be $3 after the instant reward.